Here's a leaked picture of him doing so. Anyway another promotional image we get closer to the goal day by day. so... do y'all expect the beta to come out in other countries earlier due to time zones or something? Well, it looks like Ring of Heroes will be at E3. This plus the Beta is some great news sounds like were getting a huge scope of coverage for tomorroq hopefully. Maybe even some new reveals or tidbits so keep a good eye out. Looks like villains are playable... as well.. oh my gOD. Yeah that's a mobile game trailer alright. So playable villains might have a different unlock method since they're shown as bosses. If there's at least one villain character per element, who else are they going to use? Blaster Tron doesn't seem like an aesthetic they'd get compared to crystal sorcerer. True. I just keep telling myself I'm not getting the characters I want so I can be more excited and surprised when I do. So from the trailer not only does it seem that your abilities have cool downs but you have a mana pool/bar to manage so you arn’t just spamming abilities off cooldown and actually have to think about your plays really like that, also killing enemies rewards you with mana so it makes you plan your moves to maximize value of your team. Enemy Models are really crisp with villian models like sheep creep, shield shredder, mad lobs, shiny metal chomp chest and Grave Clobber (Please let him be playable I know Gulper is in but he’s to close to my heart now.) and all the villian models are clean. Oh and Déjà Vu is in so add another to the roaster. Finally some other gameplay tidbits Chomp Chest seem to have a weird bard like they are possibly charging a attack and you probably want to focus him down. Status alignments/effects are a thing of course with Eruptor showing off a bringing alignment and Hex having some debuff stuff. Finally the bottom bar is a little bit of a stump it seems when you hit someone it can decrease at first I thought it was a shields bar but i’m Not sure. But that’s today’s nerd segment of the day it looks well made for what it is a time killer and a little more complex then I was expecting. 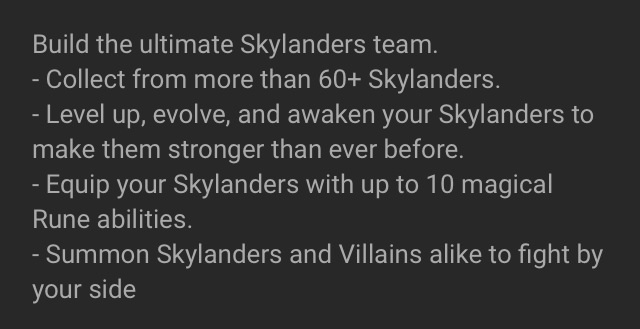 So there will be playable villains? Cool. And looks like deja vu is confirmed. New Awakened Character coming today. Please be Sprocket? Well, no new awakend form, oh well. I guess we will see them in the beta then. I wouldn't count it out yet. The latest they've posted is an hour from now with Stealth Elf. I give this game six months and i am being generous. Have you ever wonderd how skylanders would look like if he was published by a better company then Activision? You know, a company that dasent cursh a franchise to the ground after several years. 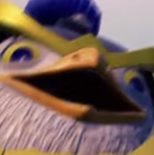 The negativity in this forum is overwhelming, I just want too see awakened Skylanders. Can you really blame them? As much as cool this game looks, reality speaking it will probobly not last very long. I mean, South Korea could turn out to be really into this game to keep it alive a little longer, Com2us is big there. But I think they're into a bigger ratio of attractive characters to furry characters. Either way if this game will survive more then six months then its a proof tha god is real, and if its not then atleast lets make the best of it. If you want to keep it going then you need to dump hundreds of dollars into it. 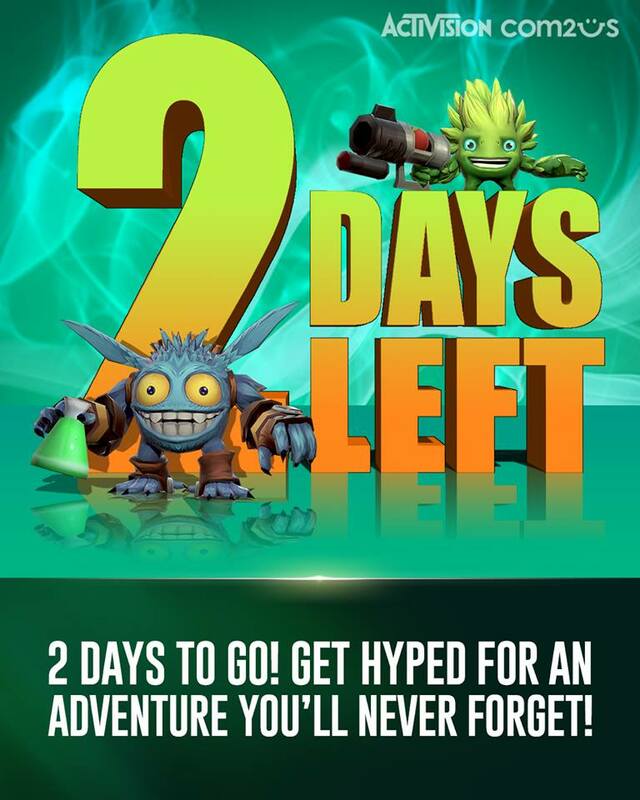 It is Skylanders, after all. Yes, because of yalls negative vibes. Leave with them. 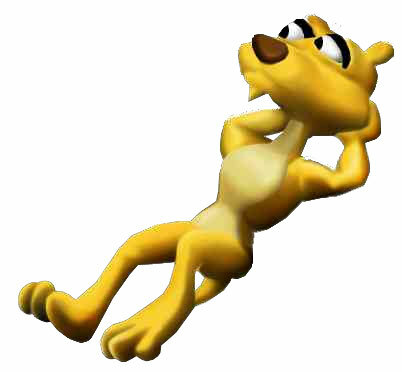 Is there literally any info about E3 yet? Huh? They seem to be doing exactly what they said they'd be doing. Hanging around outside of E3 talking about the game and giving away some stuff. Yeah, someone reported talking to them and it's legit. But once you think about it, Activision just had these guys stand outside, requiring checking their Facebook to even know where they were if you even looked it up before going??? That's kind of heartless. What I was referring to was how they said they we're going to livestream and they didn't. I'm very petty right now lol. No awakened or countdown pic and no new info besides Deja. I can take this over nothing. Flarewolf in probably gonna be a abusrb offense. Deja Vu is in from Trailer, I had to do a double take But looking very closely Super Shot Stealth Elf is somehow in there (Or i'm seeing things), Trailblazer was in one of the screenshots, Tri-Tip in from yesterday. Oh and hey, the beta is available for download! When you start it it says there's still an hour to go though.